Hillel UW and JConnect are very excited for our night with Yair Rosenberg! Rosenberg is a senior writer at Tablet Magazine, and demonstrates how to be a politically active Jewish-American. (for real...check out his twitter!) Yair will be expanding on his article "The 5 Biggest Myths of Antisemitism" featured in the Washington Post on February 3, 2017. He will be parsing out the difference between criticism of Israel and anti-Jewish bigotry. We encourage students, JConnecters, and community members to attend! 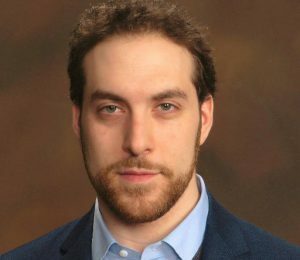 Yair Rosenberg is a senior writer at Tablet Magazine, where he covers the intersection of politics, culture, and religion. His work on these and other subjects has also appeared in the Washington Post, Wall Street Journal, The Atlantic, and The Guardian, among other outlets, and his writings have received awards from the Religion Newswriters Association and the Harvard Center for Jewish Studies. He also serves as the editor of “Israel’s Documented Story,” the English-language blog of the Israeli National Archives, and in his spare time, creates bots that troll anti-Semites on Twitter.